Iceland is perhaps my favorite spot on earth, especially during the winter, and especially at New Years. Our January 2012 trip was positively magical, and one of our favorite experiences was a sunrise (noon!) 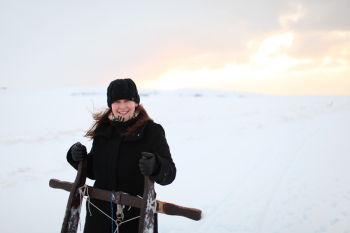 sled ride on a farm in Holmasel—about a two hour drive from Reykjavik. 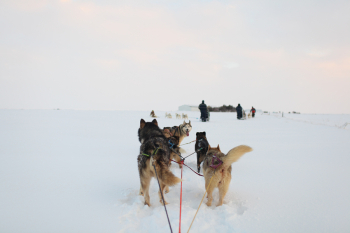 We arranged our tour with Dogsledding Iceland. 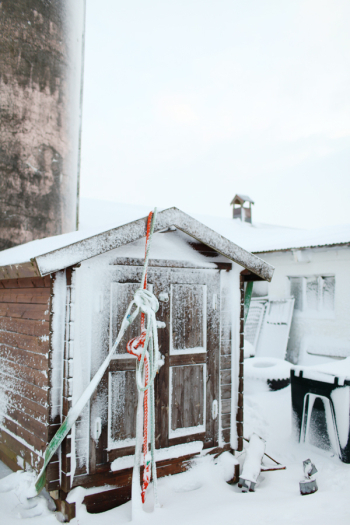 When we arrived in Holmasel, the five of us (including our friends’ adorable 10 month old) suited up in our snow clothes and headed out with the pups! 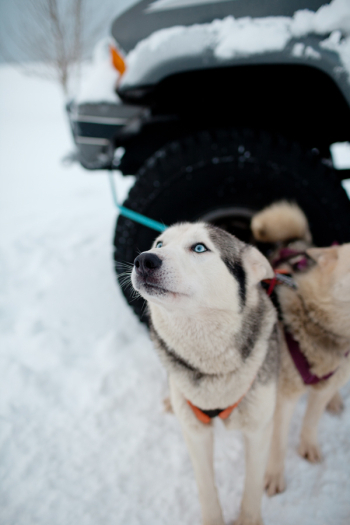 The adorable dogs were such a joy, and seeing the sunrise in the middle of a massive field of snow at one of the most northern spots in the world was something we will never forget. Iceland is a fabulous country, full of amazing people—a must-visit! 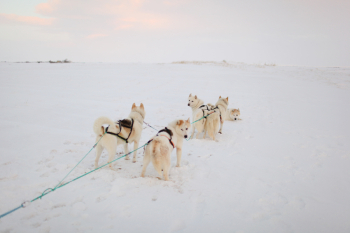 i want dog sledding for 4 persons at 19 febuary 2016.
what time u can pick up me in reyjavick? how much for the prices? Hi, we are booking to stay in Reykjavik from 19th – 24th Jan 2017. We will be staying in a private apartment in the heart of Reykjavik but without a car. How much would it cost to be picked up & dropped off incl. 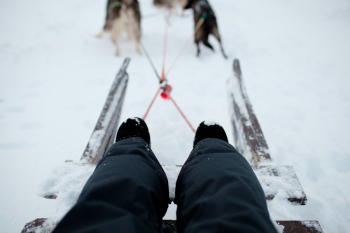 the dog sledding & what day/time is best? I love animals & simply must do this trip! Will there be snow? Also, is there another trip we can do with you guys on the same day before we return? 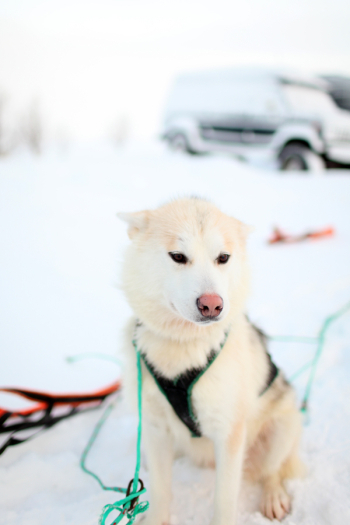 we are coming to reykjavik this weekend and are looking for a dog sledding experience. 2 possibly 4 people. it would be for the sunday 20th november. do you have availability and what is the cost per person.